Our latest issue is now out! And for starters, as we chat up the Fall/Winter 2016 issue, let’s talk about Earth, the cover quilt pieced and quilted by Oregonian Collin Fellows. Simply stunning! 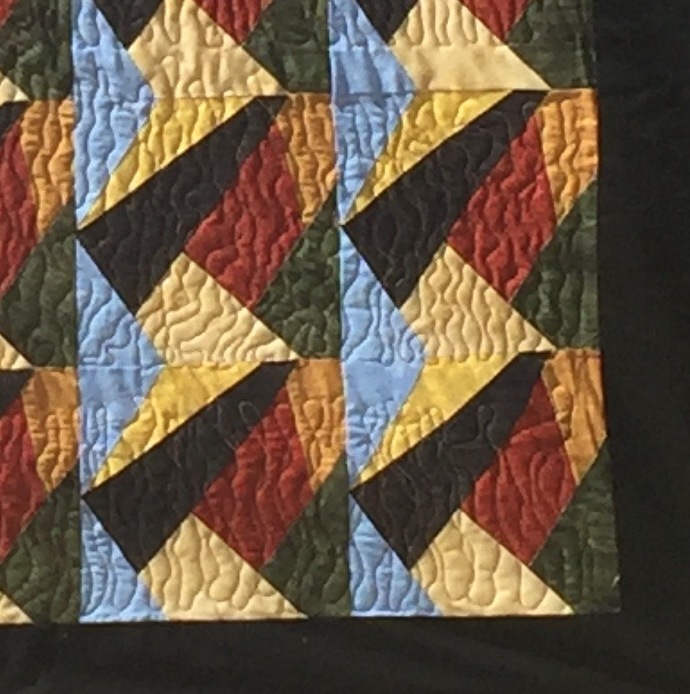 Collin has something of an unique approach to making his quilts, which you’ll see in the pattern for a wall hanging-sized version. If you’re more inclined to go big, we’ll post the extended cutting chart and another picture or two in an upcoming post. We also have Playdates from Swirly Girl Susan Emory, Alissa Lapinsky, Sandra Clemons, and Sally Johnson. These projects embody a wide range of technique, color, texture and inspiration. 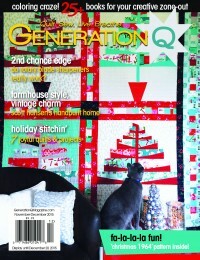 Now, here at GenQ, we believe that pattern cliche “quilt as desired” sparks creativity in stitchers of any age. 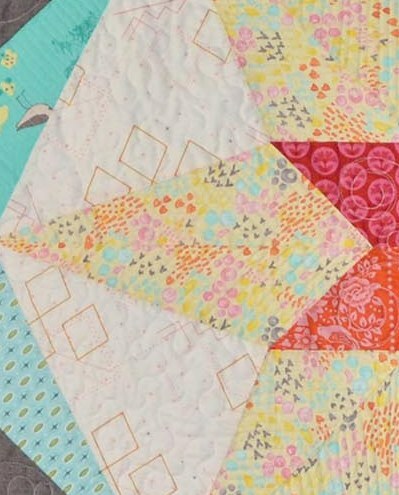 Don’t miss our WeSew2 feature, which has quilting instructions for the Tic Tac Tula Quilt that our junior editors have been building since our Summer 2016 issue. 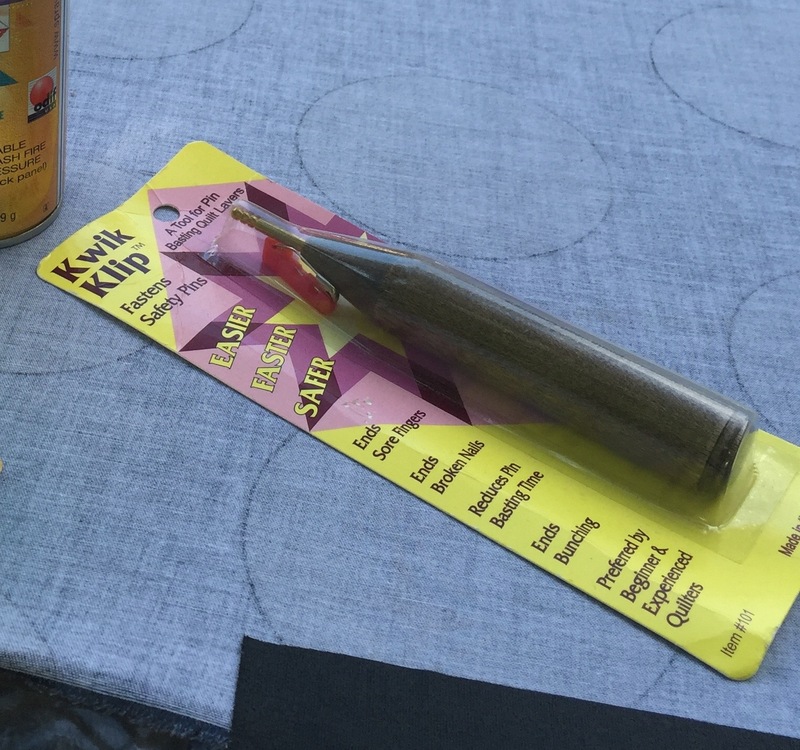 Senior Editor Tracy Mooney has included some basting tips that are handy for machine quilters of any level. 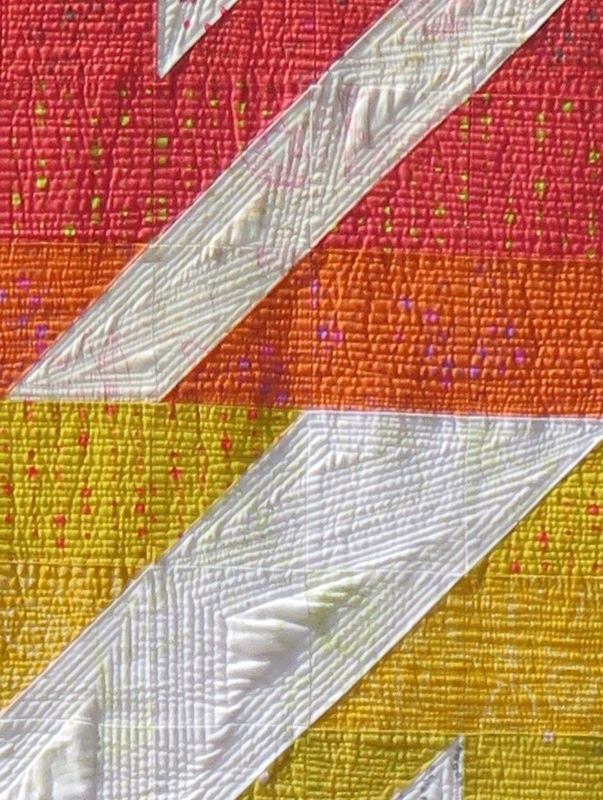 Pool noodles are a multi-tasker in the quilt world, and here they’re used for basting. Our Piece Corps feature showcases designer Sally Johnson, a Coast Guard veteran and Red Cross disaster relief worker, in her outreach to local veterans. Her grassroots charity, Quilts, Heal Too, reaches out to veteran suffering from post traumatic stress disorder. But wait! There’s more in the q-niverse. Don’t miss Ken Casey’s fabricky ode to bad manners–a quilt that literally reports all the weird/offensive/unbelievable things male quilters have been told when they enter a fabric shop. Mmm our blogger-in-chief can attest to how bad manners cause implied hurt to our quilting brothers. 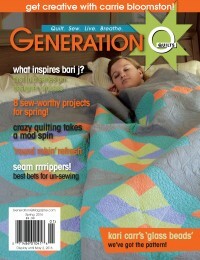 When a guy is in the quilt shop, let’s presume he is a quilter, mmmmkay? 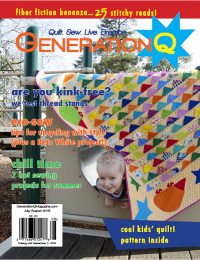 GenQ Publisher Jake Finch has very candidly and openly shared her experience with breast cancer during the past few months on Facebook and on her personal blog, MamaMakesQuilts.com. Within the week she will start 20 weeks of chemotherapy. We can assure you that in a small company when one member hurts, we all hurt. 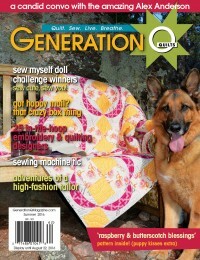 In fact, her serious illness is one reason why this spanking new issue has a “Fall/Winter” cover date. When your merry little band is down by one player, the music needs to slow down for a bit. This is the last issue we will print in 2016, HOWEVER we will be back at it in 2017, so do not despair. And Jake is expected to fully recover at the end of her treatment, so no tears there either. In fact, don’t do anything at all except tune into our blog more frequently. 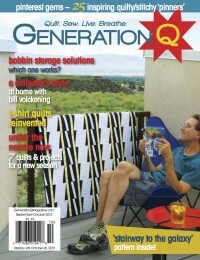 We won’t leave you without your GenQ fix, as we publish more–and more frequently–on our blog. Want a heads up on the latest fabrics? You’ll find Cuts coming your way. Need a new holiday drink recipe? Yep, on the blog, along with our features, interviews, Test Drives, etc. 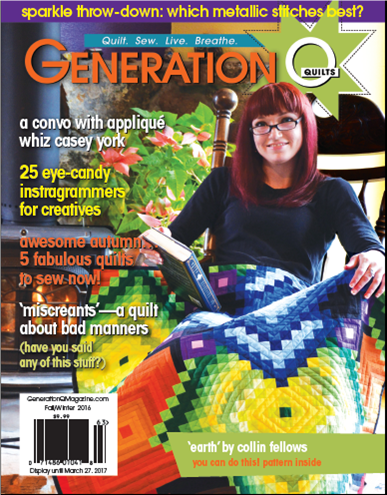 We’ll also bring you the closing three blocks in our year-long Patchwork Almanac quilt-along by Scott Hansen. The quilt is bee-you-ti-full! And with the final installment coming to you via the blog, you’ll be able to finish your own PA version. As always, if you have any questions, comments or concerns, just reach out. You know where to find us.